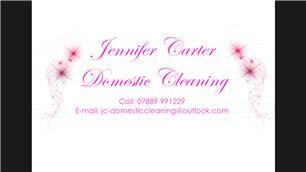 Jennifer Carter Domestic Cleaning - Cleaning Services based in Haywards Heath, West Sussex. Hello, my name is Jennifer Carter. Coming home to a house that is clean and comfortable gives us a wonderful feeling. I am a trustworthy, reliable cleaner who has been cleaning for 4 years. I am based in Haywards Heath and cover Haywards Heath and surrounding areas. Whether your looking for a one off clean, end of tenancy, or a regular clean, I can offer it. I also do ironing. Please feel free to call me.